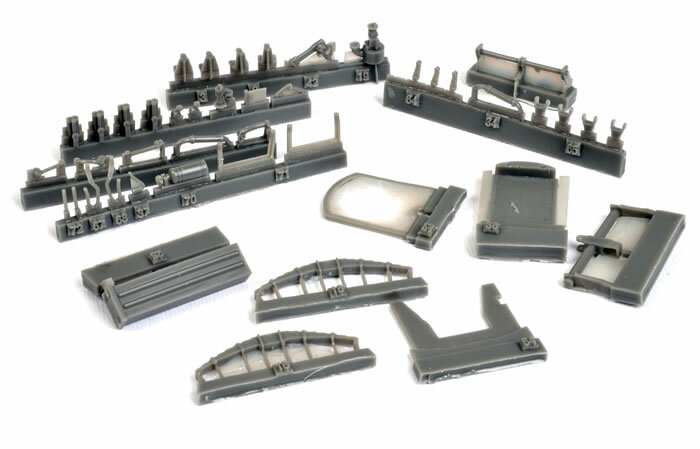 Media and Contents: 98 parts in grey resin; two parts in clear resin, drivers tilt in clear vacform plastic; photo-etched fret; wire; markings for two vehicles. 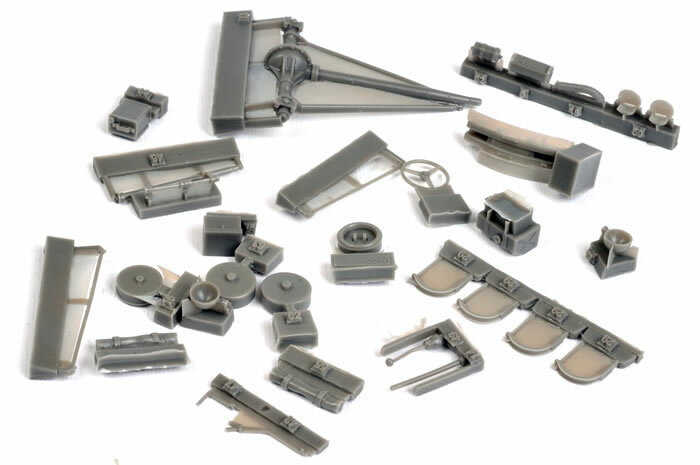 Advantages: High level of detail; excellent quality casting; straightforward parts breakdown. 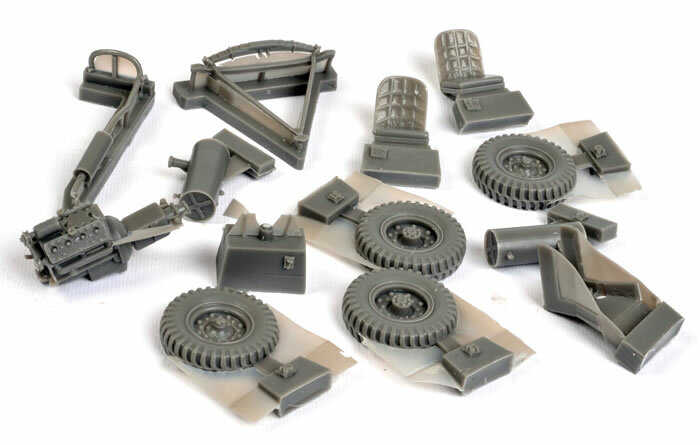 Recommendation: Plus Models’ 1:35 scale WOT-2C truck is a great model and a very versatile subject, either as a standalone project or as part of a diorama. Fordson was set up as the tractor division of Ford. A range of trucks was also produced under the Fordson brand, including the British-specified WOT (War Office Truck). The WOT-2 was a WWII 15cwt truck based on the stripped back chassis of the civilian Model 61. The Fordson WOT-2 saw widespread service with British and Commonwealth countries, on the home front, in the Western Desert and other locations overseas. 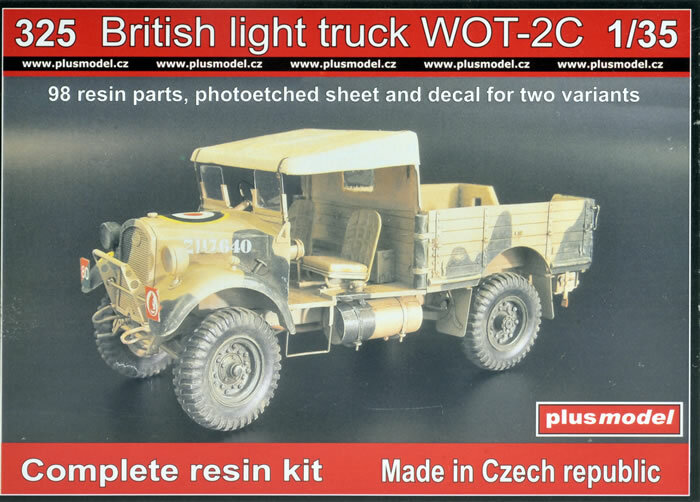 Plus Model has released the WOT-2C variant of this wartime family. 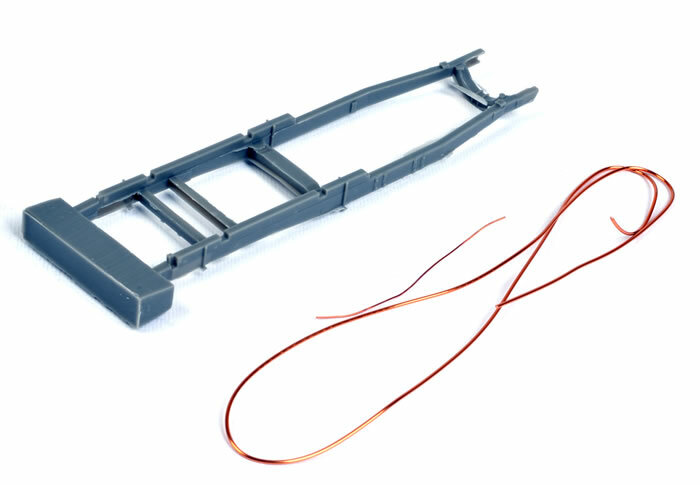 The kit comprises 98 parts in dark grey resin, two parts in clear resin, a canvas driver’s tilt, a generous photo-etched fret and two lengths of copper wire. 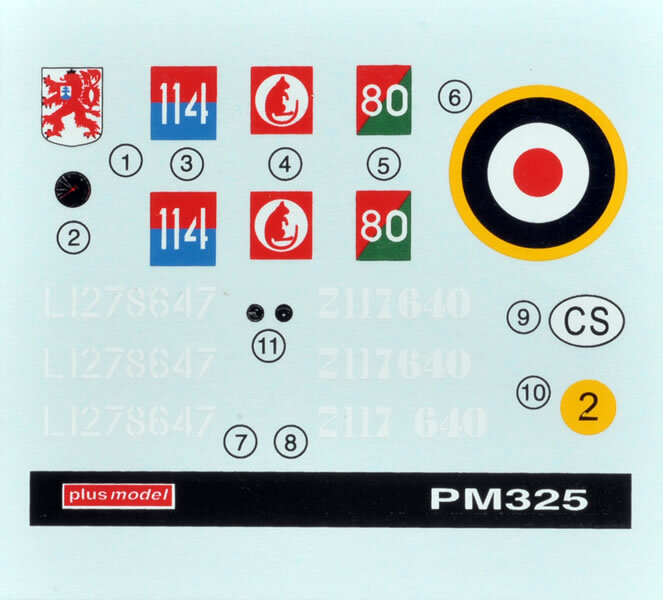 Markings for two vehicles are also included. Casting quality is first rate, with no air bubbles or pinholes that I can find on first inspection. Casting blocks are minimal, and the characteristic resin flash is quite fine so clean-up should not be too much of a chore. Detail is excellent. The chassis and running gear are very well done, and Plus Model provides a full engine although the bonnet is cast shut. The texture of the fabric seats and the wood grain of the cargo area is noteworthy – very nice indeed. 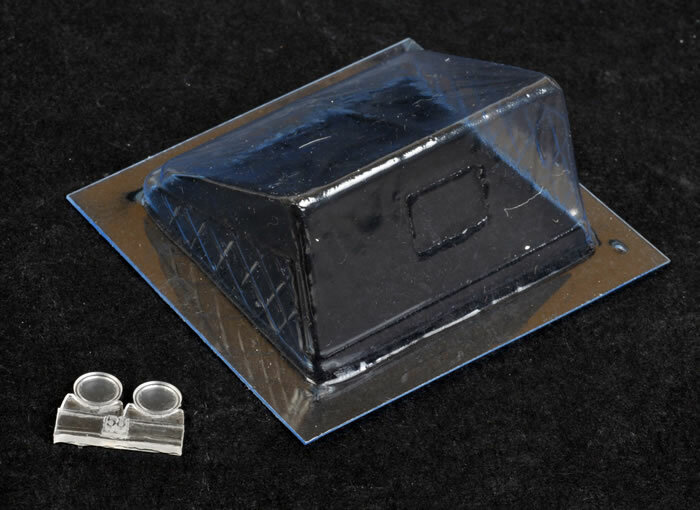 I was interested to see that the tilt for the driver’s cabin is provided in clear vacform plastic. This is a very nice idea as the clear acetate window in the rear of the tilt may be masked off during painting. This should look quite realistic when finished. A clear acetate sheet is also provided for the small fold-down panels that serve as windscreens on this vehicle. 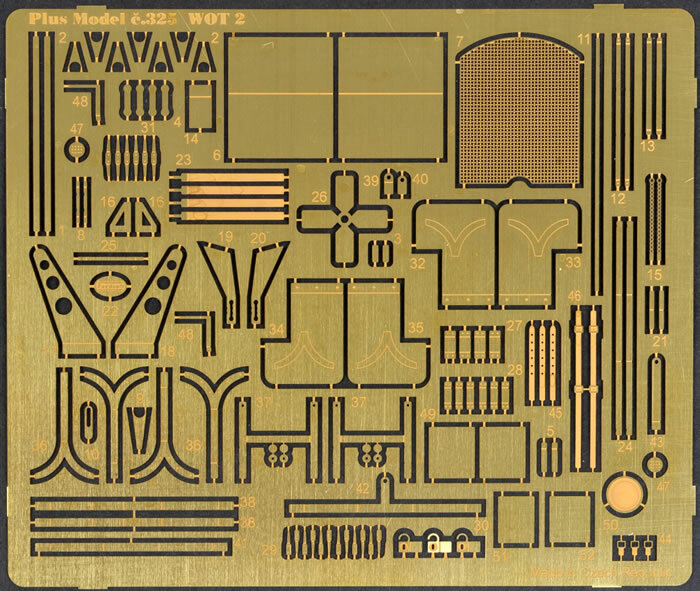 The photo-etched fret supplies many smaller details to supplement the resin parts. Markings are offered for two vehicles. One is a Czech unit based in the UK in 1941, while the second is attached to the Desert Rats 7th Armoured Division in North Africa, May 1941. 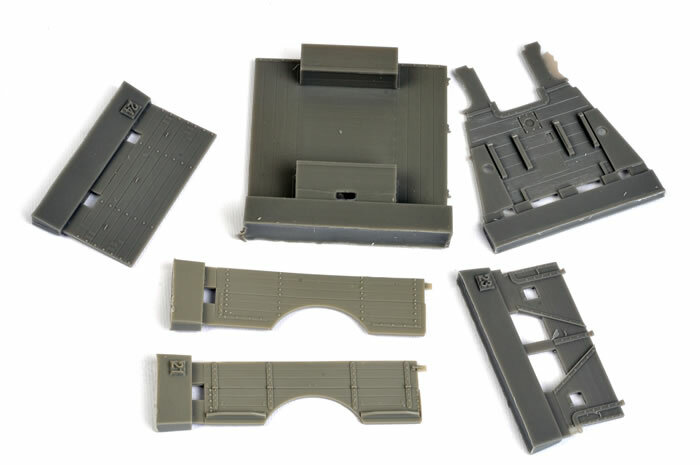 Plus Models’ 1:35 scale WOT-2C truck is a great model and a very versatile subject, either as a standalone project or as part of a diorama. 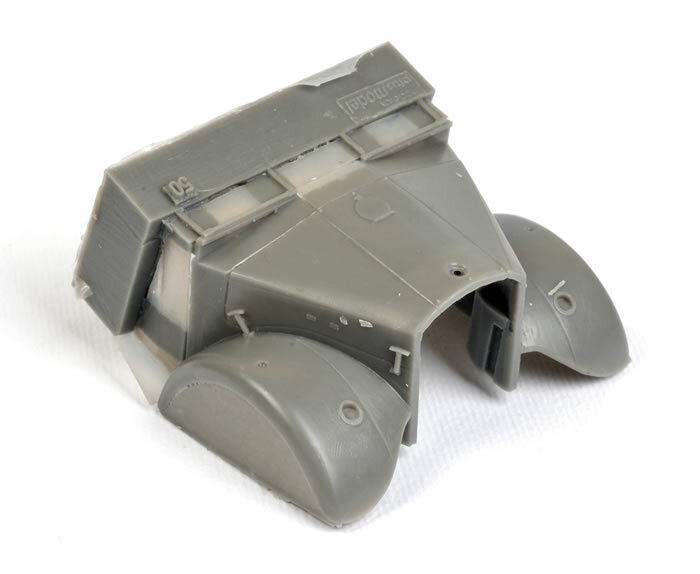 Being a resin kit with small photo-etched detail parts, this model will be best suited to a modeller with a few armour projects already under their belt. However, anyone with previous resin kit experience shouldn’t have any problems with this very complete and well-detailed model.